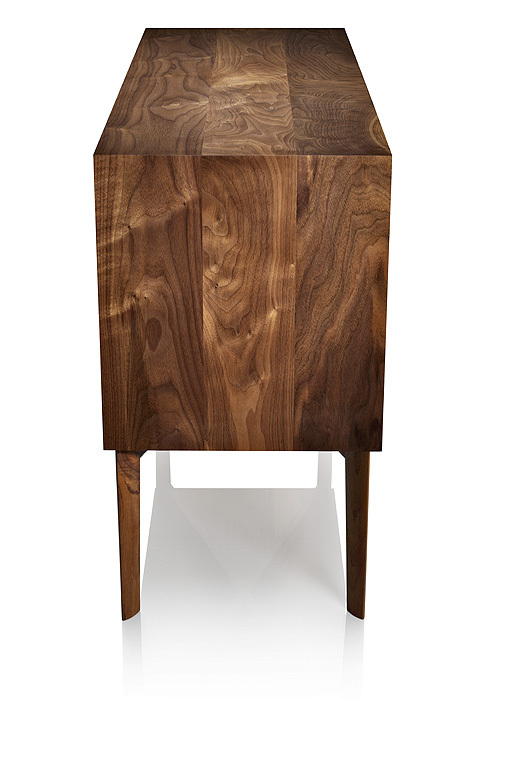 Bridget is a solid wood cabinet with a hand routed design on the doors. 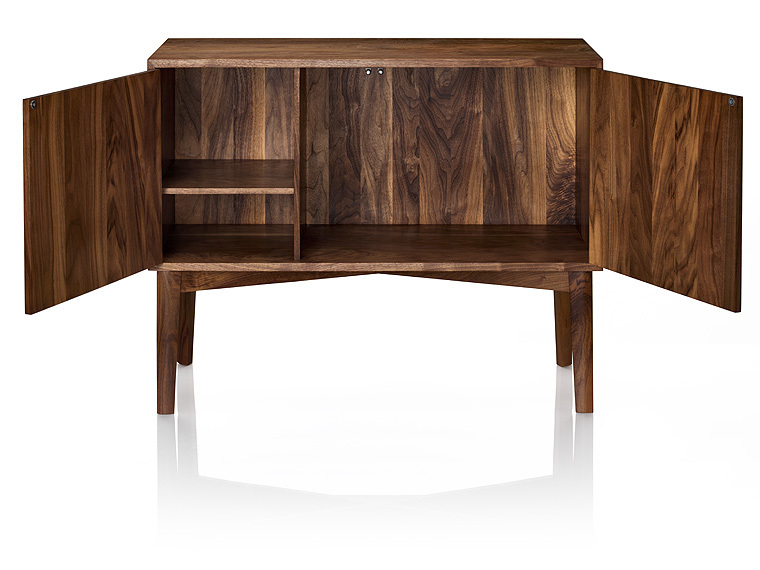 This handmade sideboard is made from black walnut and it measures 100 x 45 x 75 cm. This ex-display piece is only available in walnut but will be refinished for the customer. Free delivery within M25.